Published on the occasion of the exhibition Alice Neel, Uptown at David Zwirner, New York (23 February - 22 April 2017), and Victoria Miro, London (18 May - 29 July 2017). 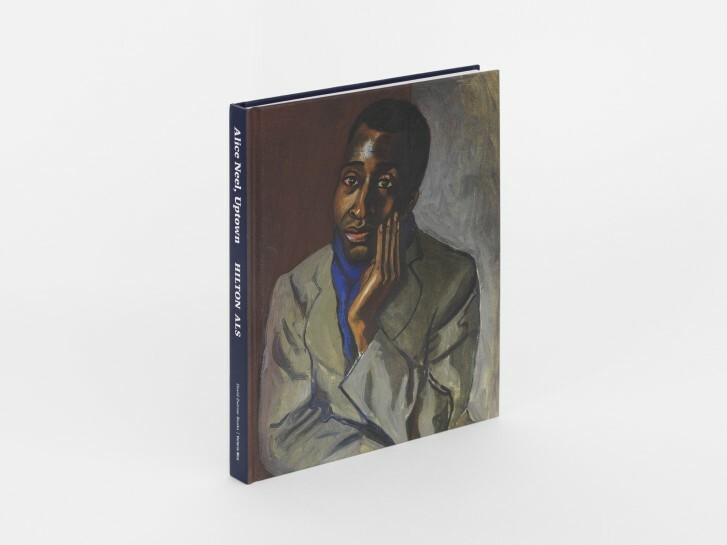 Including essays by Hilton Als on individual portraits and their sitters, in addition to new scholarship by Jeremy Lewison. In Alice Neel, Uptown, writer and curator Hilton Als brings together a body of paintings of African-Americans, Latinos, Asians, and other people of color for the first time. Highlighting the innate diversity of Neel’s approach, the selection looks at those whose portraits are often left out of the art-historical canon and how this extraordinary painter captured them; “what fascinated her was the breadth of humanity that she encountered,” Als writes. The publication explores Neel’s interest in the diversity of uptown New York and the variety of people amongst whom she lived. This group of portraits includes well-known figures such as playwright, actress, and author Alice Childress; the sociologist Horace R. Cayton, Jr.; the community activist Mercedes Arroyo; and the widely published academic Harold Cruse; alongside more anonymous individuals of a nurse, a ballet dancer, a taxi driver, a businessman, a local kid who ran errands for Neel, and other children and their families.